Professor Emeritus. Higher Education. Human Resources and Economic Development. Educational Organization and Finance. Higher Education and Business Cooperation. Continuing Education and lifelong learning. Apprenticeship training and other forms of “alternation” between school and workplace. University of California at Berkeley (USA), LL.M. Member of the Editorial Boards of the Journal for Adult and Continuing Education (Manchester University Press), and Frontiers of Education in China (Springer). Senior Honorary Research Fellow, University of Glasgow (1998). 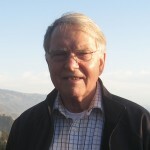 Distinguished Member, Canadian Society for the Study of Higher Education (2009); recipient of Lifetime Contribution Award (2011) from the Higher Education Section of the Comparative and International Education Society (CIES).